T his rose by any other name smelled sweeter to critics, who found in Paul’s previous three albums something lacking on Red Rose Speedway. Having listened to this album dozens of times over the years, I’ve never placed it on the pedestal of pop curios that holds his first two records, but there are a handful of pretty posies to be plucked from it all the same. If you’re wondering why Red Rose never got its just desserts, you already have the answer. 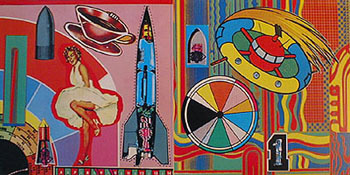 The last half of side two is awful, as Paul empties out his bag of remaining musical sketches (“Power Cut,” “Hold Me Tight”) and indulges in a spacey Indian dance (“Loup”) that suggests Steve Miller’s tasteless psychedelic experimentation from the late ‘60s. When I review an album, I have several methods in place, notably letting the album gestate over time (generic reviews often indicate that the writer hasn’t listened to the album enough to form a clear picture of it) and writing notes for each song as I hear it. The latter prevents a bad taste at the end from souring my whole listening experience. By way of analogy, imagine eating a meal that consisted of a fine soup, excellent entrée, and then choking on the worst dessert imaginable. Should the waiter then ask you how your meal was, it’s unlikely you’d praise the first two courses, focusing instead on the last and least pleasant experience. As I see it, that’s the likely critical scenario as regards Red Rose, and may explain why so many have looked past its initial charm. “My Love” is a polished, lump-in-the-throat classic that looks back to “Let It Be,” “Little Lamb Dragonfly” is a surprisingly mature bit of songcraft not far removed from “She’s Leaving Home,” “Single Pigeon” recalls the charming “Teddy Boy,” and so on. 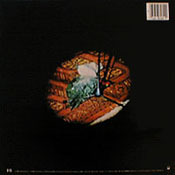 True, Paul inserts more than the recommended daily amount of OOHs, AHs and LAs into the proceedings, but people buy Paul’s music to soothe the savage breast, not agitate the idle mind. 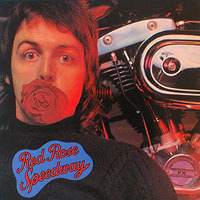 Red Rose Speedway is not one of Paul’s better albums by any measure, and his willingness to toss off half-finished ideas was clearly beginning to annoy some folks who knew him capable of more, but it’s ultimately no less pleasurable than McCartney II or Wings At The Speed of Sound, and far less hazardous to your wallet than Wild Life.